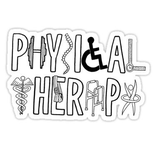 The examination, treatment, and instruction of persons, in order to detect, assess, prevent,correct, alleviate, and limit physcial disability and bodily malfunction. Treatment may consist of a range of exercise, stretching, endurance training, postural and gait training, or modalities. 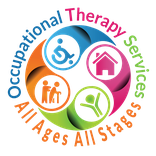 The evaluation and treatment of physical or emotional conditions by the use of activities related to normal "occupations". Treatment may address emotional or behavioral disturbances that affect the ability to perform daily tasks. Treatment may included the use of strengthening, stretching, modalities, and activities of daily living. The rehabilitation of swallowing difficulties, speaking skill and the impairment of language. Speech Therapy works with oral motor deficits, memory loss and other "thought" problems. Speech Therapy can treat: language disorders, motor speech disorders, swallowing disorders, voice disorders, and impaired cognitive skills. Joyner Therapy services is a family owned and operated business proud to serve southern Illinois! We are proud to offer exclusive treatments like ASTYM , aquatic therapy, women's health program, and a balance program. You can choose us through one of our three conveniently located outpatient clinics, several long term care/nursing facilites throughout southern Illinois, or by calling us for your home health needs!
" I have been here four times, after having set backs since a severe car wreck in 2014 and surgery in 2015. Each and every time I was treated so well by everyone here! The reception was always so present and helpful, even at 7:30am. Dan & Rob were so good to me and always got me back to the best I could be! I appreciate Joyner Therapy more than you'll ever know. Everyone here is like family to me. If I ever need therapy or know someone who does, I will definitely say Joyner. Thank you for everything you have done for me. Your kindness will never be forgotten."